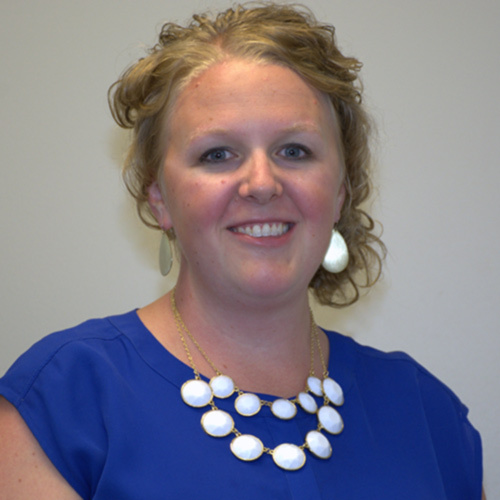 Katie is a Licensed Independent Clinical Social Worker and the Adult Outpatient Supervisor. She graduated from Simpson College in Indianola, IA with her BA in psychology and sociology. She then graduated from Minnesota State University, Mankato, with her master’s degree in social work. Katie provides a wide range of mental health services including diagnostic assessments, individual, group and family therapies for adults and adolescents. She maintains the importance and value of a supportive, therapeutic relationship with her clients throughout the course of treatment. Her background includes work with individuals having traumatic histories, severe and persistent mental illness, personality disorders, anxiety, depression, LGBT issues, phase of life difficulties and grief. Katie utilizes a strengths-based holistic therapy approach drawing from cognitive behavioral therapy, dialectical behavior therapy, and solution-focused therapy. She is a co-facilitator for the DBT skills-based group. Katie is currently pursuing certification in trauma-focused cognitive behavioral therapy (TF-CBT).